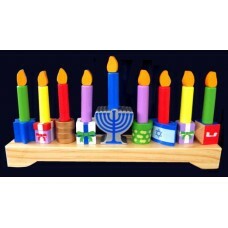 The Wooden Children's Menorah Set provides a great way for families to come together to celebrate the holidays. While kids play with the menorah, they are also learning more about Jewish tradition and culture. Made of solid wood and MDF. Set contains 19 pcs. 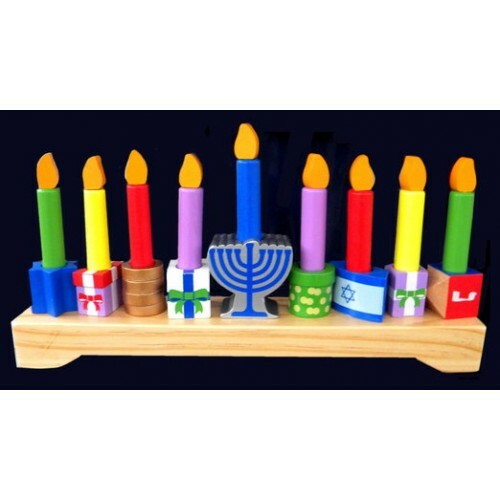 --eight (8) flames, eight (8) candles and the Menorah. No assembly required. 13.39:" L. x 2.36" W. x 78.28" H. Add $8.00 for Name.